Milos is a volcanic island in the Aegean Sea and belongs to the Cyclades. Milos has many beaches of exceptional beauty. It is worth noting that each beach is going to visit someone at the residence on the island you will see that is totally different from the other and this is the reason that makes it stand out not only in Greece but across Greece with particular rocks that enclose. Many are accessible by land, while others are accessible only from the sea like Sarakiniko, Papafragkas, Kastanas, TRIA Pigadia, Paliochori, Provatas. In Milos there are two ports, one in Adamas, which is the Central and one in Apollónia, serving routes to kimolos. Buses serve the visitors of the island from the port in the settlements Triovasalo, Plaka, Pollonia, Orifice, Zefiria, Palaiochori, Achivadolimni and Provata. Guest service is done with taxis in phone 22870-22219. 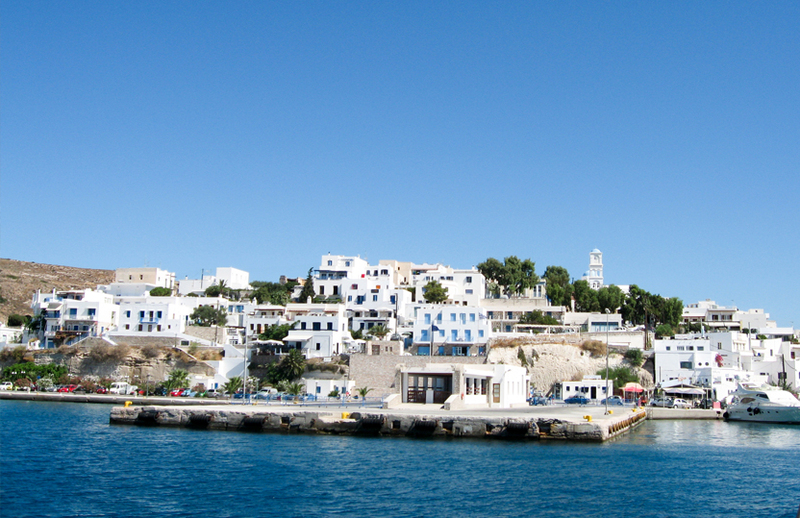 Milos island is connected year-round daily with the harbour of Piraeus. Well there is also public transportation with other Western Cyclades Islands Kythnos, Serifos, Sifnos, kimolos and Sikinos. For information on arrivals and departures can be contacted and with the Apple on the phone port 22870-23360. ferry companies approaching the port of Milos from the port of Piraeus is the Aegean Speed Lines with high-speed ferries and Cyclades Ferries with conventional ships. Air Champion24 .com offers ferries to and from Milos on all services performed from any port of Greece. You can easily search and choose your ferry route that it serves, easily and instantly. The booking takes place in real time using your credit card or by making a booking with the help of the staff of our Office.